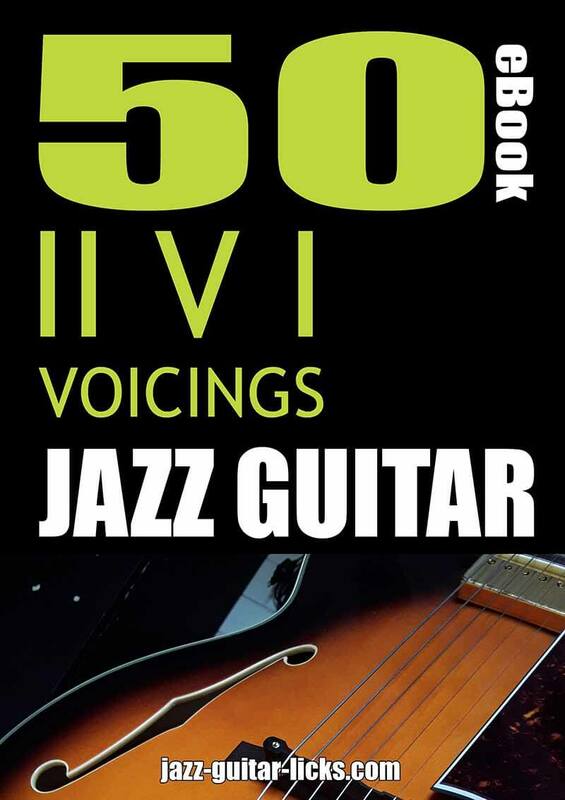 II-V-I voicings for jazz guitar - PDF eBook method. A new eBook is available for download. It contains 50 exercises with guitar tabs and standard music notation that will show you how to use different types of voicings over a II-V-I progression. This PDF eBook will help you to understand how the main jazz guitar chords are built (minor 7, major 7, dominant 7, diminished 7, half-diminished, augmented, 7b5, drop 2, drop 3, inverted, altered, extended and rootless chords) and how to apply chord substitutions (diatonic sub, tritone sub and diminished substitutions).